The simple way to keep track of your training schedule and members. Manage your EMS studio with appointman anywhere and anytime. More time for your members. Increase your sales. Leads can book their trial training directly on your website whenever a timeslot is available. They can even bring their friend or partner to the training. Book recurring training sequences for your customers. With serial appointments the booking can be done in no time. You can still change future appointments if needed. Save notes, documents and the medical history to your customers file. This allows you to check all your members details with just a few clicks. In addition to the contract information you will also be able to manage your customers payments online. Your customers can book classes with ease from any location with the appointman app for Android and iOS. They also get a reminder of upcoming appointments. Your leads book their trial workouts independently whenever a timeslot is available. Due to the integrated lead management you will have an overview of potential new customers. The statistic will show the successful conversion rate from lead to customer. With your EMS studio you gain a tool that will allow you to manage your appointments with ease online via web or app. You determine how much in advance your members are allowed to book or until when they are able to cancel an appointment. Keep track of your booked trainings anytime and check which members will show up today. Of course you can also add or remove members from your trainings manually. You have all the needed customer information right there before the training starts. Define your customers contract terms – you decide how often a customer is allowed to train. 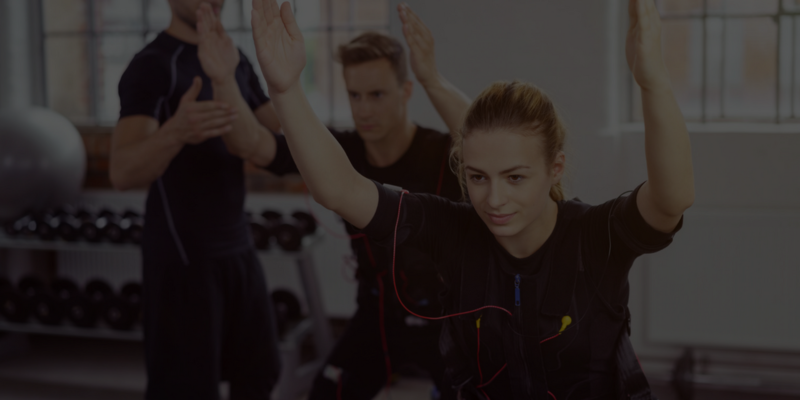 With the online member management tool you can make sure that only your members are allowed to book your classes. In addition to the contact details and booking information of each member you manage the billing details online. Your customers can book directly on your website or the app with the help of appointman. This allows your customers to always keep track of their booked appointments and they will also receive reminders on a set time before the training starts. They also have the option to cancel bookings within the cancellation period which you determine. Sign up today to reach your goals!